This unique formular and cross-linking technology allows a highly viscous gel to be injected easily through a fine gauge needle without causing degradation to the modified HA particles. Revanesse products are biodegradable, non animal-based, clear HA gels created for multiple indications. 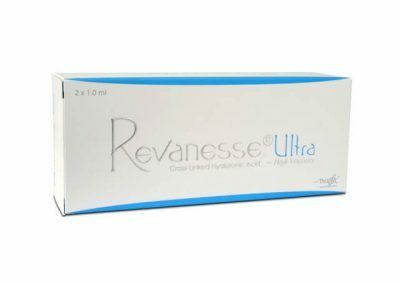 Revanesse is a biodegradable cross-linked hyaluronic dermal filler used to eliminate unwanted lines and wrinkles in the mid-dermis. 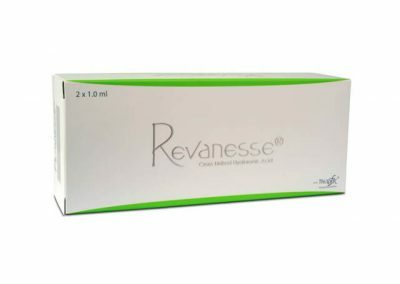 Revanesse is used to fill superficial imperfections such as fine lines, forehead wrinkles, crow`s feet, periorbital lines and glabellar lines. Revanesse is formulated using Thixofix cross-linking technology. 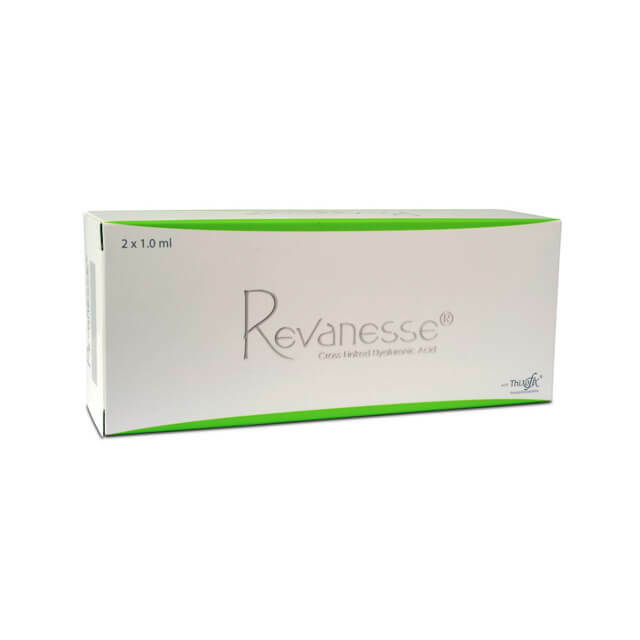 Revanesse Kiss is a biodegradable hyaluronic dermal filler used for volumizing and augmentation of the lips. Revanesse Kiss is formulated using Thixofix cross-linking technology proven to create high quality hyaluronic acid that lasts longer and is available at the highest concentration. 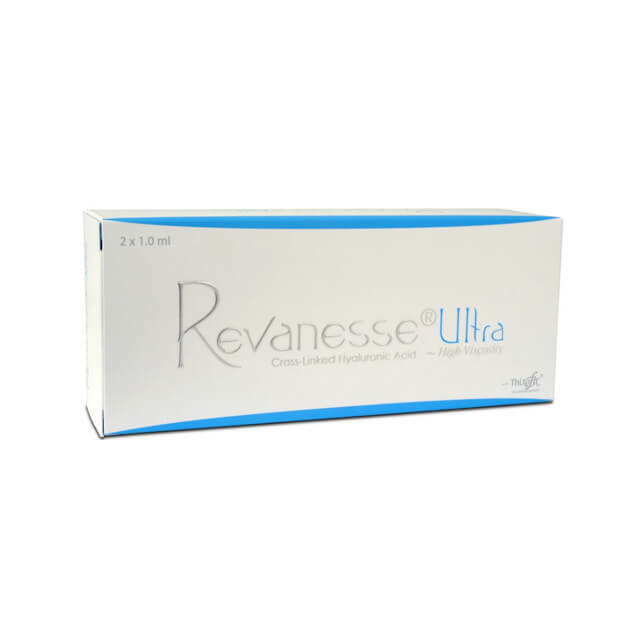 Revanesse Ultra is a biodegradable cross-linked hyaluronic dermal filler used in the mid- to deep dermis to treat deep and more pronounced lines and wrinkles such as nasolabial folds and oral commissures and for adding volume. Revanesse Ultra is formulated using Thixofix cross-linking technology. 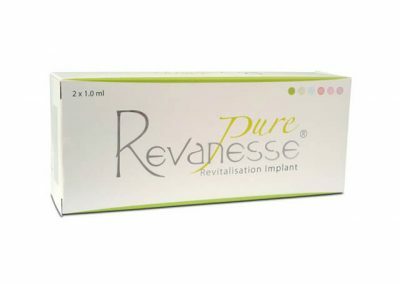 Revanesse Pure is a biodegradable non-cross-linked hyaluronic dermal filler used to nourish and moisturize the face and is the purest non-cross linked gel in the Revanesse range. Revanesse Pure is used in the superficial dermis for skin rehydration of the face, neck, hands and décolletage using a mesotherapy technique. Revanesse Pure is formulated using Thixofix cross-linking technology. 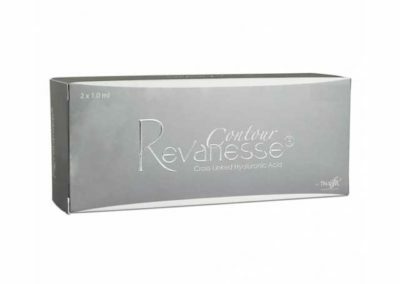 Revanesse Contour is a unique non-animal injection filler, designed for facial shaping and contouring. Revanesse Contour will provide safe, long lasting and high quality results. The filler is ideal for large volume treatments such as chin and jaw augmentation and nose bride correction.